EAP– Emergency Accommodations Plan and inclement weather policy continues house-wide. Road Closures– Click here to view an updated map of road closures and flooding in Horry County. Essential staff – Essential staff are ones required to work schedule shifts because the work area remains open regardless of hurricane or flooded conditions. If you were determined as “essential” during the hurricane then you are likely to be determined as essential again. If you were not determined as essential during the hurricane part, you could now be determined as essential because the scope of the operation is expanding. Please check with your area leader on Thursday to determine if you are determined as essential for Friday and beyond. Flood Concerns sleeping accommodations for essential CMC staff As the rivers rise we expect staff who have scheduled shifts will need to stay at the facility because road passages to their home area will be blocked by flooding. We have secured and paid for a large block of rooms at the Quality In and Suites next to Tanger Outlet for one week. This location is pet friendly and suites are large, breakfast served, and you are welcome to bring your family. Call HR 8112 to reserve a sleeping accommodation of any kind. Motor homes, 5th wheels, Tents etc. – If you are working shifts, you are welcome to bring these on campus starting Friday . All these accommodations must only occur in a designated area that is located at the back of the campus by the Rehab building. Pull front end of vehicle centered on orange cone. There will be no electricity, water or other utility hooks up. Do not run power cords across the lot. It is okay to run a gas generator as long as you run the cord significantly far away enough to not disturb others. No fires, No dumping, No parties….just a nice way to sleep. You do not need to check in with HR to do this, just please park in the designated “cone” spots which are far away from patient areas. Meal Accommodations – All staff please present IDs in the cafe for reduced rates. We ask that you make every effort possible to bring your own provisions as conservation is important too. Pets – CMC will not open pet accommodations on the campus now that we have secured a pet friendly low cost hotel. See above. Child Care Area – CMC is not a licensed day care center and these services are considered emergency in nature by volunteers. We will operate a child care area in the Admin building auditorium starting 6:30pm Friday evening and ongoing for children age 3 or older twenty four hours a day. Bring beach towel for nap and nighttime sleeping. We will provide lunch and dinner meals starting Saturday (no breakfast – bring your own granola bar and juice box). Other details to be discussed at time of check in. Call HR 8112 to give us a heads up that you will be bringing your child with you so we can staff it. Volunteer Services – Carol will determine where services can be provided and send out emails or talk to each affected area. Catering – No in-house catering services this week or next. HR Office hours – Thursday – 7:30a to 6:00p. Friday 7:30a to 6:00pm. Saturday and Sunday 8:00a to 9:00p. CPG offices – Talk to CPG admin who is determining what practices can be open based on provider and staff availability. Socastee closed Friday. Endo Note – Previous communication indicated elective endo procedures closed for Friday . That information was incorrect. Endo open Thurs and Friday. CPG Office Changes – CPG is implementing its geographic staffing model for all primary care offices beginning Monday at 8 am.  Our intent is to take care of the immediate needs of our patients at an office in proximity to their home without crossing the Waccamaw River in either direction. We are assigning medical providers and support staff based on where they live in relation to our office locations. Therefore, some patients may be seen at their normal office but by a different provider or they may not be able to get to their normal office and should go to one of our other locations and see the provider(s) there. Patients should contact either the office they usually visit or that they want to visit for further instruction. All offices will be taking walk-in/work-in patients in support of the CMC efforts. The specialty offices will be staffed by their normal physicians and support staff will be assembled based on where they live. There could be some disruption or delay in specialty offices due to provider and support staffing. Questions – Direct operational questions to your area leader. HR questions call 8112.